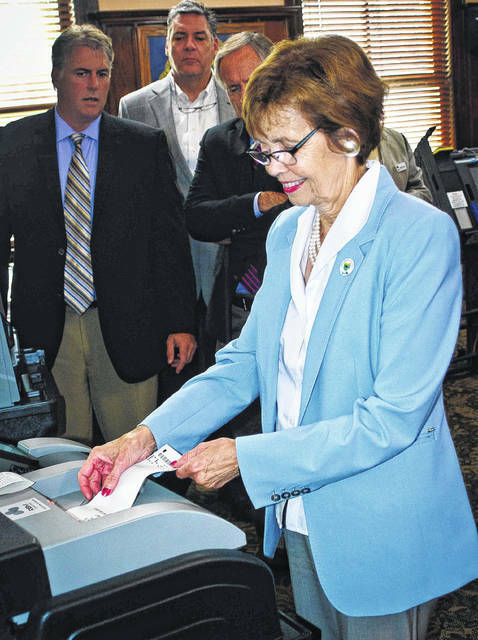 In Thursday’s meeting of the Delaware County Board of Commissioners, the Unisyn Voting Solutions OpenElect voting system was adopted on the recommendation of the county Board of Elections for use during elections in Delaware County. This entry was tagged Anthony Saadey, Barb Lewis, Commissioners, D. Anthony Botkin, Delaware County Board of Commissioners, Delaware County Board of Elections, Gary Merrell, Jeff Benton, Karla Herron, LLC, RBM Consulting. Bookmark the permalink.